You may have heard of the disparaging term, designed by committee, meaning that the design process was full of compromise as it pandered to the different interest groups. That could be what is happening in the world of wireless charging. There are currently three rival groups trying to create the definitive wireless charging standard, Samsung and Qualcomm both belong to two of them (which are of course incompatible with each other). Now Samsung has boosted its interest in the Wireless Power Consortium (WPC) and the Qi standard by investing $4 million in a company called PowerbyProxi. The money is actually coming from the Samsung Ventures Investment Corporation (SVIC), the global investment arm of the Samsung Group. The support seems to be a move by Samsung to buy an interest in the next extensions to the Qi standard. Tony Francesca, a VP at PowerbyProxi, has been appointed chairman of a WPC task force that is designing a wireless power resonant extension to the Qi specification. The other two groups working on wireless charging are the Alliance for Wireless Power, or A4WP and the Power Matters Alliance, or PMA. And this is where it gets confusing. Samsung is a founding member of A4WP along with Qualcomm and Powermat Technologies. But Powermat Technologies is also a founding member of the PMA. Other members of the PMA include Toshiba, Pantech and ZTE. Qualcomm wasn’t a member of the WPC but last week it also joined that group and is now supporting for the Qi standard. Confused, I don’t blame you! Other than the blatant attempt to control the chairman of the WPC task force, it seems that Samsung and Qualcomm have effectively abandoned the A4WP group and are trying to take over the WPC. Qualcomm has told the EE Times that it plans to work from the inside to merge the two standards (WPC and A4WP) even though they aren’t compatible. Back in the real world – away from the committee rooms, the only wireless charging technology that has made it into any actual phones is the WPC’s Qi standard. 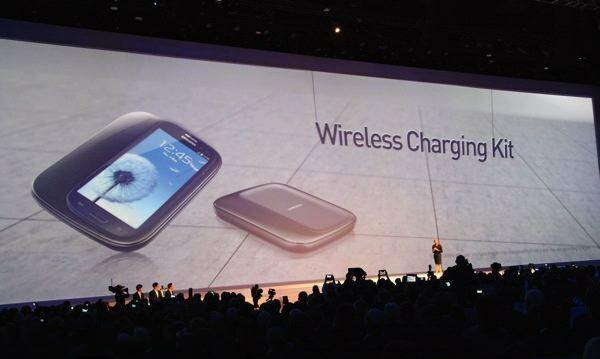 Different phones from Nokia, Google, Blackberry and LG offer support for wireless charging via Qi. What consumers want is a definitive standard that will allow wireless charging to become a norm in a variety of public places from coffee shops to airport lounges. What do you think, are the rival committees hindering the development of a global wireless charging standard? Previous articleNeed wireless charging in a spare power pack? Mugen adds Qi to its portable battery.